Believe it or not, Italy was the first country I’ve ever been to where I don’t speak the language… luckily French and Spanish cover a lot of ground! (I’m not counting my layover in Amsterdam because I was sleeping in the KLM lounge!) I picked up a little Italian when I was a restaurant hostess in high school, but I suspected “Ciao, thank you for calling Carrabba’s Italian Grill Orange Park. This is Angie, how may I help you?” wouldn’t get me too far once we disembarked the ship at the first port. Uneasy about the impending language barrier, I must give a big grazie to Royal Caribbean for offering an Italian class on board the ship during our day at sea. 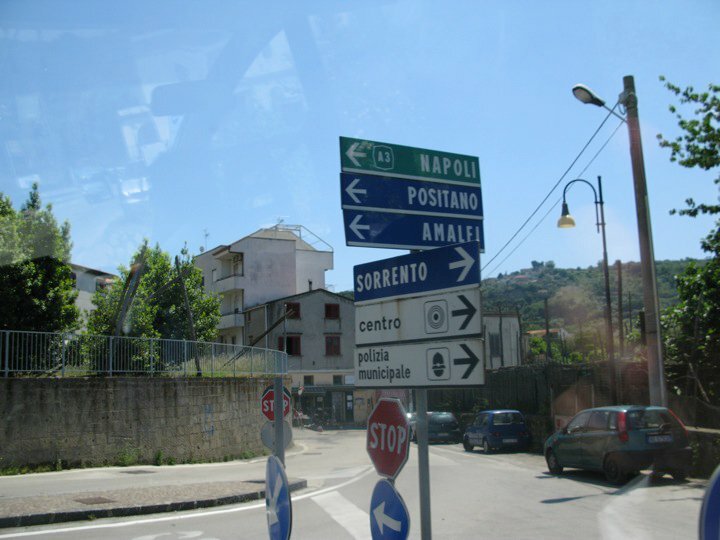 After learning a few key phrases, I was confident enough in my skills to take on our very first stop, Naples. Bonjourno, Napoli! 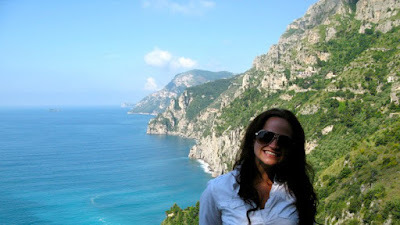 Our private van picked us up early that morning, and tour guide Antonella chatted away as we drove from the port, through Naples, past Sorrento and up the stunning Amalfi Coast. Even though I was gripping my armrest with white knuckles while winding down the coastal road with its steep, deadly cliffs giving way directly below us to the sea, the view was breathtaking and well-worth the paralyzing fear I suffer when on mountainous roads. Note: I’m not afraid of heights at all, just of driving on precariously high roads. It doesn’t make any sense to me either, but usually you’ll find me with my head buried in an attempt to avoid the terrifying vistas. This time though, I almost couldn’t look away! 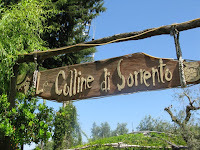 Once we turned back toward Sorrento, we did some more windy-road driving and came to a quaint farm, Le Colline di Sorrento, where we had a mozzarella-making demonstration and a tour of the olive and lemon groves and the olive oil press. 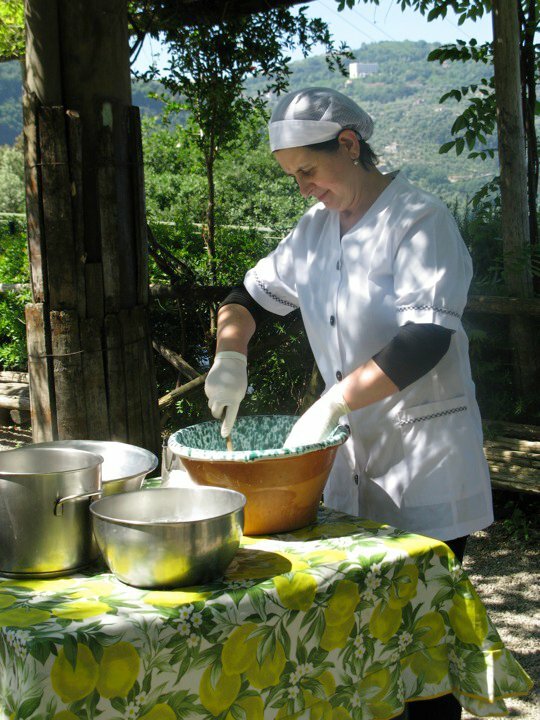 After all that, we were able to taste the farm’s products and mamma mia! Fresh mozzarella might be my new obsession. We sipped world famous Sorrento limoncello, made from locally grown lemon rinds, alcohol, water and sugar. Personally, I thought it tasted like wood floor cleaner, but hey, Danny DeVito swears by it, so I kept sipping. 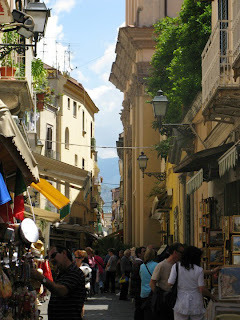 After the farm, we had a quick stop in the seaside town of Sorrento for its well known Pizza Margherita (eh, not my favorite) and then a teeny bit of downtime to peruse the shops stocked with hundreds of little glass bottles of limoncello. Finally, it was time for the second half of our tour, the part I was jumping out of my seat for - the journey to legendary Pompei. When we stopped for pictures at one point during the morning, I exclaimed, “Look! It’s Mt. 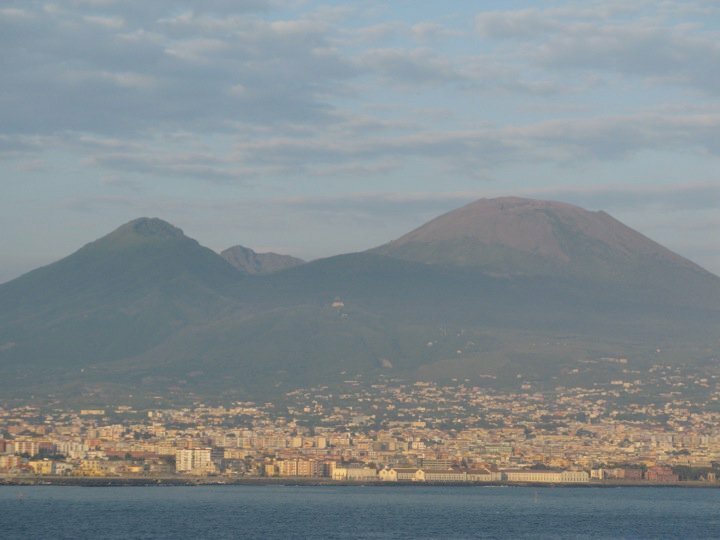 Vesuvius! THE Mt. Vesuvius! Take my picture with THE Mt. Vesuvius! WOW!” I am surprised I was not voted off the tour by Celia and the journalists, who certainly realized by lunchtime that I was REALLY, obnoxiously excited about visiting Pompei.